I recently found out this thing is called a ‘MermaidsPurse’. 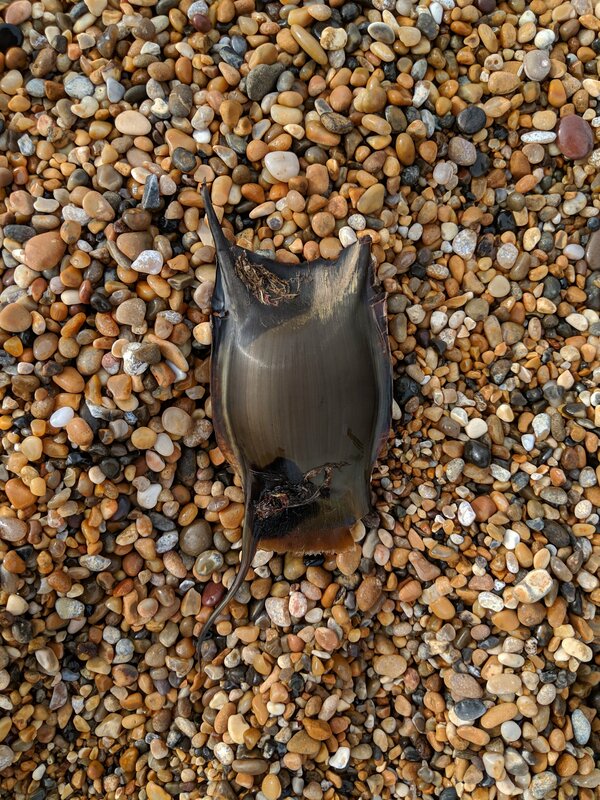 Interesting enough I’m sure you agree, what’s even more interesting though is that it’s actually a sharks egg case. Yup, a shark. A bloody shark! It’s not like a great white or whatever, but ruddy interesting nonetheless.